Paladin already owns 82.08 percent of the uranium explorer; if the takeover is successful the company will gain 100-percent control of Summit. Australia-based Paladin Energy (ASX:PDN) has made a takeover offer for Summit Resources (ASX:SMM). Paladin already owns 82.08 percent of the uranium explorer, if the takeover is successful the company will gain 100-percent control of Summit. By acquiring the smaller uranium-focused company, Paladin will bolster its uranium assets in Australia. For its part in the deal, Summit will receive one new Paladin share for each Summit share at roughly AU$20.2 cents per share. This represents a target value of AU$44.01 million. “Paladin’s offer provides Summit shareholders with an opportunity to become shareholders in a company that has exposure to a broader range of uranium projects and with a stock which has greater liquidity than what Summit currently enjoys,” Mal Randall, Summit’s non-executive director said in a company announcement. When the acquisition is complete, Paladin will have added valuable uranium resources to its repertoire, increasing its presence in the uranium market. Summit currently explores and has rights to five sites with varying degrees of uranium potential. Summit’s main project, and the focus of Paladin’s interest, is Isa North, which covers approximately 935km2 and hosts a number of uranium prospects, including the Valhalla, Skal and Bikini deposits. According to the Q2 financial report released by Summit last week, the Mount Isa region contains 104.6 million tonnes of measured and indicated resource. Paladin, which operates sites in Australia, Canada and Africa, is adamant that the deal will give it a relevant interest in more than 90 percent of all Summit shares on issue, and at least 75 percent of the Summit shares that Paladin is offering to acquire under the offer. 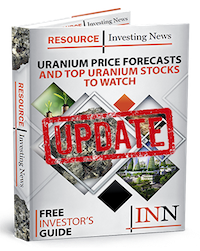 “If successful, the offer would result in approximately 39.1 million new Paladin shares being issued to third-party shareholders representing approximately 2.28 percent of Paladin’s shares outstanding,” noted the international uranium miners press release. Shares in Paladin remained flat on Wednesday (August 1) and closed at AU$0.20. Meanwhile, Summit’s share price was slightly up, ending the trading day at AU$0.20.